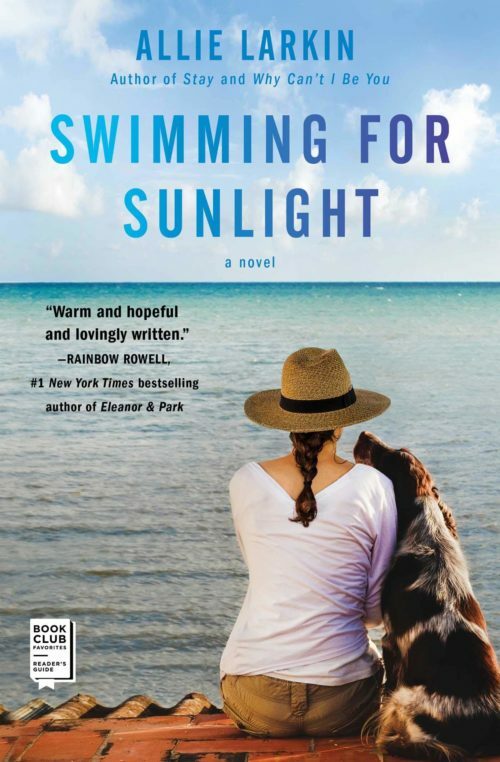 Join internationally bestselling author Allie Larkin for a Book Launch celebrating her charming new novel, Swimming for Sunlight. When recently divorced Katie Ellis and her rescue dog Bark move back in with Katie’s grandmother in Florida, she becomes swept up in a reunion of her grandmother’s troupe of underwater performers–finding hope and renewal in unexpected places, in this sweet novel perfect for fans of Kristan Higgins and Claire Cook. But Katie quickly learns there’s a lot she doesn’t know about Nan–like the fact that in her youth Nan was a mermaid performer in a roadside attraction show, swimming and dancing underwater with a close-knit cast of talented women. Although most of the mermaids have since lost touch, Katie helps Nan search for her old friends on Facebook, sparking hopes for a reunion show. Katie is up for making some fabulous costumes, but first, she has to contend with her crippling fear of water.